Finally got round to completing the Wintersaber Trainers reputation. 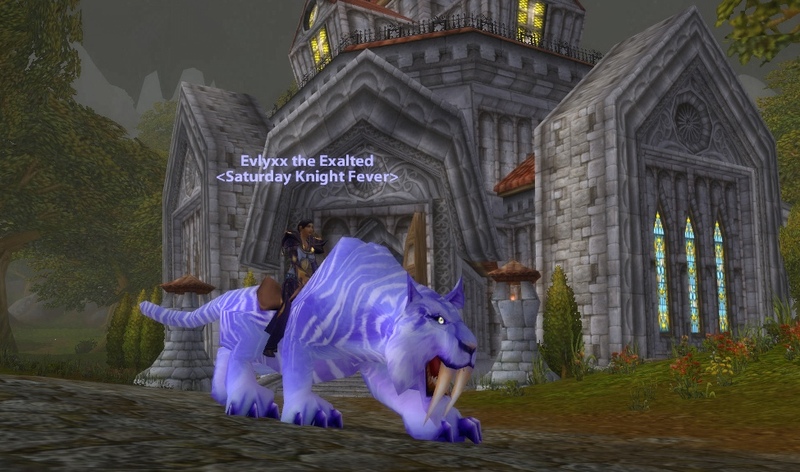 I am now the proud and happy owner of a Winterspring Frostsaber as shown in the pic above. Apart from the mount I am really happy that I’ll never have to return to Winterspring and do these quests again as I deliberately finished the “grind” and pushed it to 999/1000 exalted. I now have 45 exalted factions and am now going to push on with my friends in Ravenholdt who I must cap out honoured with before starting the lockbox trial.